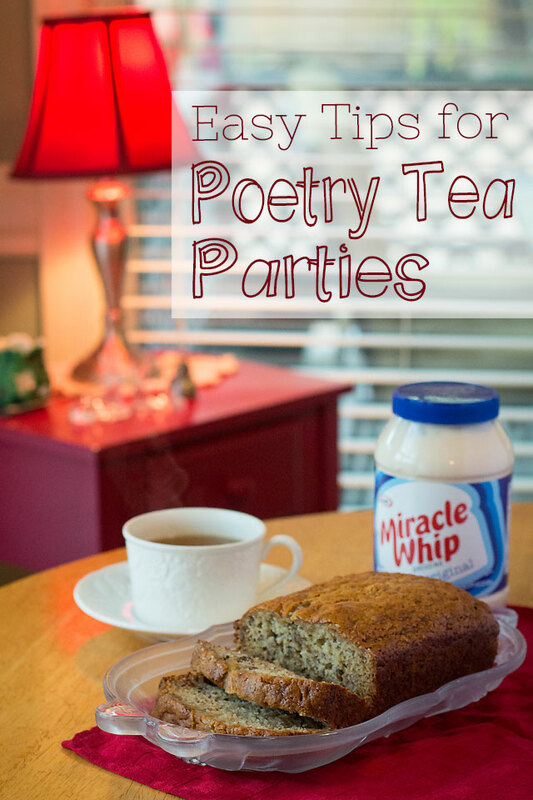 We have been doing poetry tea parties since the kids were really little. 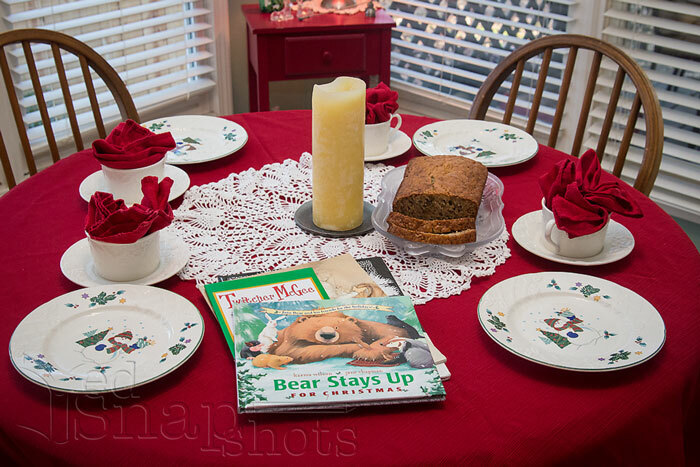 I stumbled on the concept from Charlotte Mason home educators like Julie Bogart and Elizabeth Foss well before my own kids were school-aged and fell in love with the ideas of pulling out the nice linens, finding a book of poems to read, and sharing time together over a treat in the afternoon. 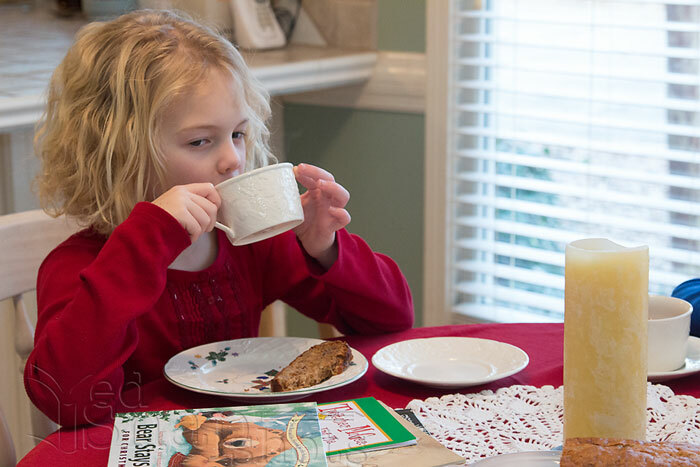 I know from your emails that tea parties are something people find intimidating, but really they don’t have to be. Here are a few of the tips we use to make them doable and easy. You don’t have to read poetry, drink tea, or even make it a big party for it to be a poetry tea party. 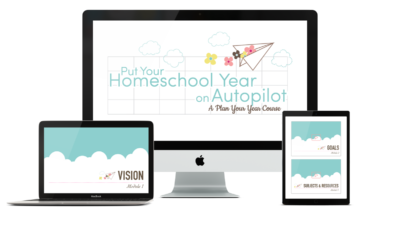 That’s just the name that has stuck in the homeschool community. Sometimes we go big with our parties, but for the most part it is just us with a favorite hot drink at our own little table. Almost every time we read poems, but many times we often read picture books or our current chapter book as well. Make them part of the preparation. If all of this fuss seems like too much work on your part then you are doing it wrong. 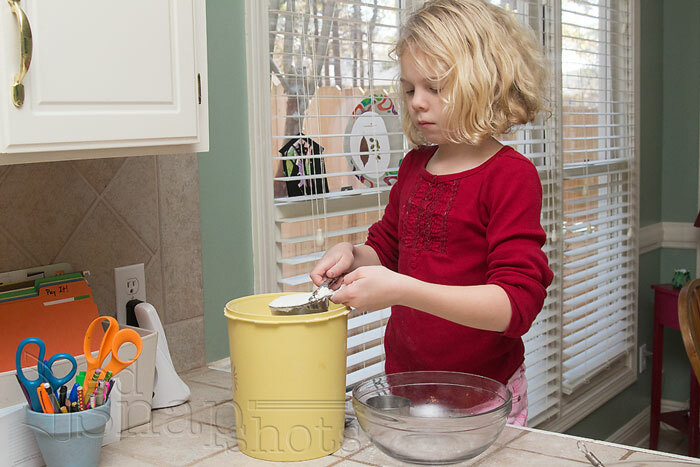 Let the kids be part of the preparation for the party. They can help make the food, set the table, and gather the books. When everything is done, work as a group to clean up and put everything away. 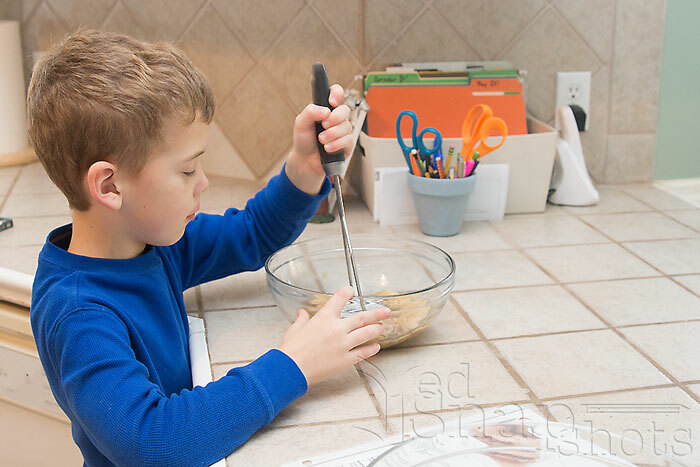 There is so much learning for the kids in the cooking and preparation, and my kids love helping with tea parties so much more than regular kitchen chores. In fact, they often beg to help. I am giving you permission right now to pick something up from the store already made. Go ahead, do it. I have many times. But yes, I realize that most of the time you will be like us and want to make your own because that is a big part of the fun. 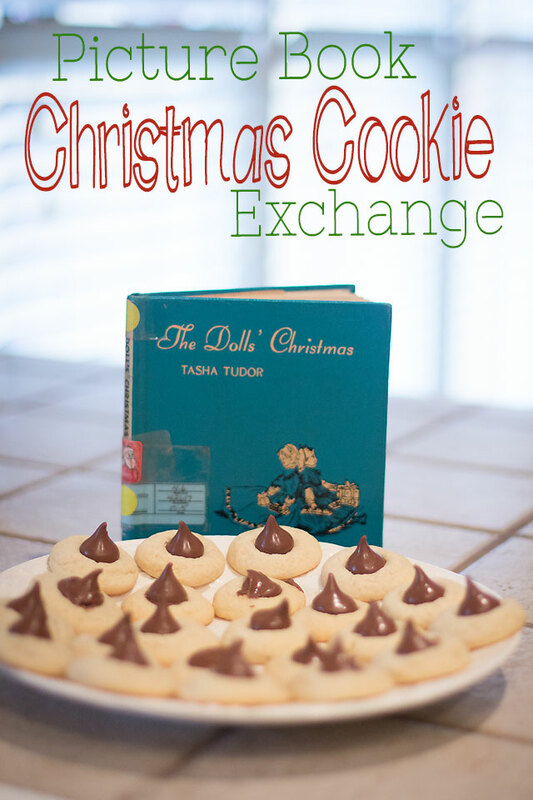 I love a super-simple recipe with just a few good ingredients for a tea party. One that is easy enough that the kids can almost do it by themselves. 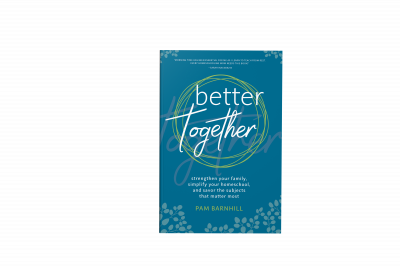 If your kids haven’t been exposed to much poetry or already have preconceived notions about how flowery or stuffy it is, it is important to get the right books to change their minds quickly. We have an entire selection of poetry books we love, but to win over reluctant poetry readers, nothing beats The Random House Book of Poetry for Children. This gem has hilarious poems, short poems, long poems, and serious poems. They are all good poems, though, highly enjoyable by kids (and adults) of all ages. You will also want to let the kids choose some of the poems you read — everyone should get to pick at least one selection. This helps them take ownership of the process. And remember — song lyrics are poems too. We also like to mix in some other reading. Grab a few picture books or your current read aloud to mix in with the poems. Including something they love and are familiar with makes the new experience not so strange. The more you do it the easier it will become. The kids will learn the ritual — where the linens are kept, how to set the table, the rhythm of the process and working together. Instead of something daunting, it becomes simply that thing you do on a Thursday or Friday afternoon. 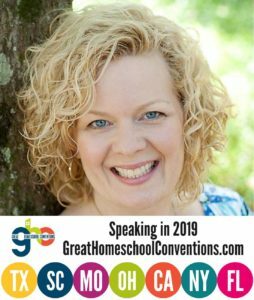 Gather a collection of dishes and linens you like to use from your household stash or by visiting thrift stores and yard sales for something pretty. Mugs geared to your kids’ character and preferences (think Dr. Who mugs, peace sign mugs, puppy mugs) make wonderful stocking stuffers. Remember poetry tea time is not about what cups you use, the fanciness of the treat, or the number and type of poems that you read. It is all about the relationships and spending time together — breaking bread and sharing thoughts. While all the trimmings are good fun, they are not the most important aspect of the ritual. If you keep that in mind, then poetry tea time is nothing to be afraid of. Not at all. 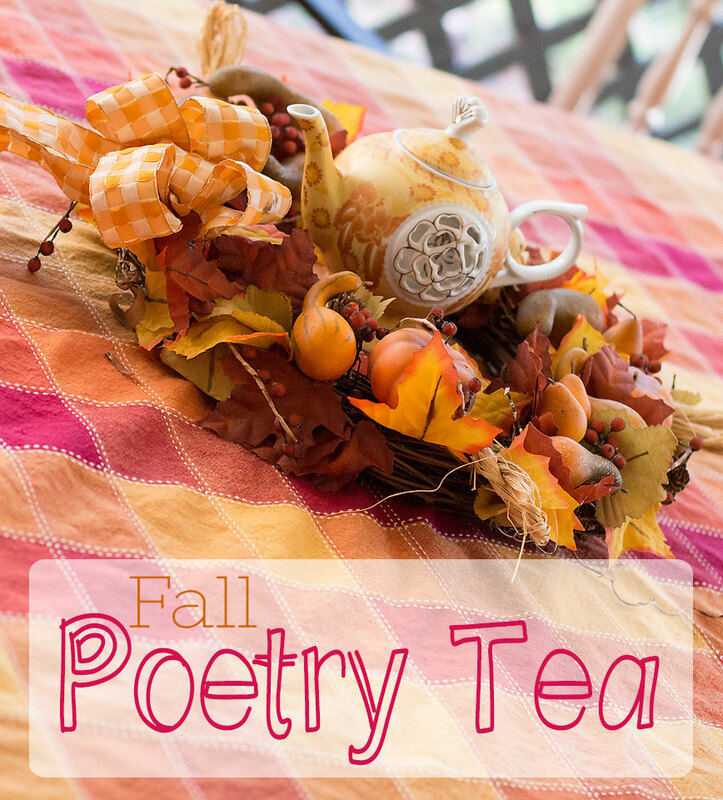 Have you ever tried poetry tea time at your house? Seriously, it was awesome. Kids were totally skeptical too, but we scarfed it down. So easy with just a few ingredients. What an enchanting, lovely idea. When I taught public school, my class earned a tea party. I got some of my most interested parents to help bring in cookies and fruit, and I made herbal tea. Each student had a name-card written in glitter, and bright tablecloths. It was a bit grandiose, but the combination of that and literature, they valued the party so much. 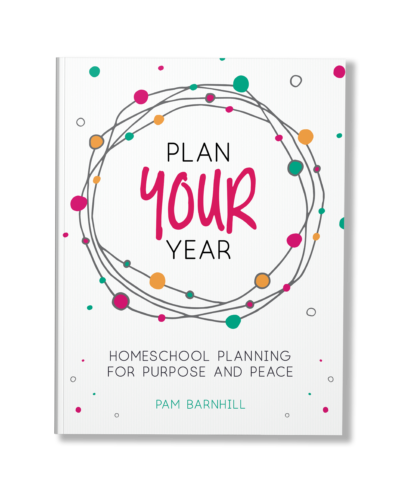 I am thinking now of using this with my own sweet homeschooler! Neat ideas! 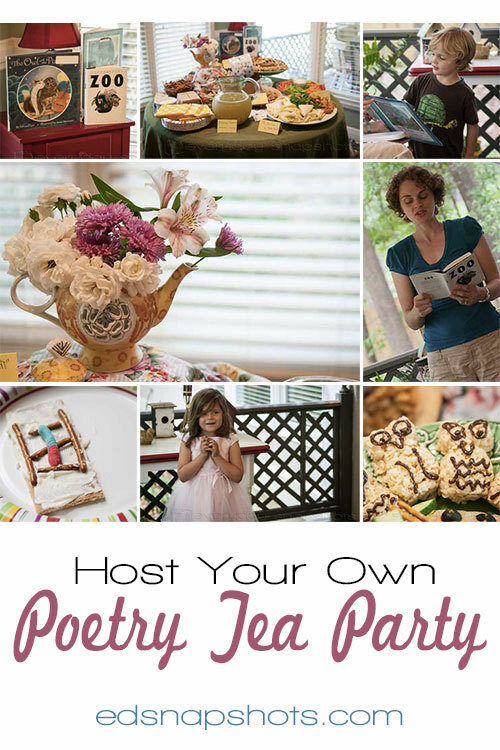 Why have I never thought of poetry tea parties? I’m doing this! I love this idea. But what does it look like once you sit down at the table? Do you read aloud while the kids snack? 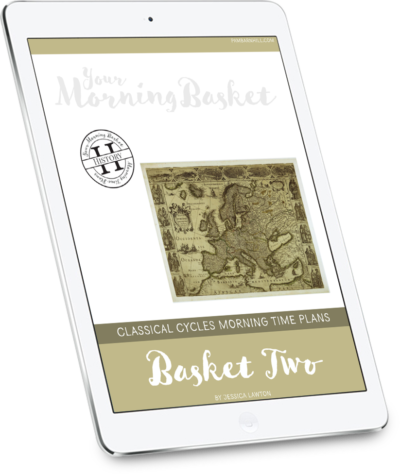 do all your readers take a turn reading? What do you actually do after the preparations have been made? Rebecca – Mine are young enough to enjoy me reading to them so they eat and I read while my tea gets cold. I sneak in bites around the edges. You could have everyone take turns reading their poems. 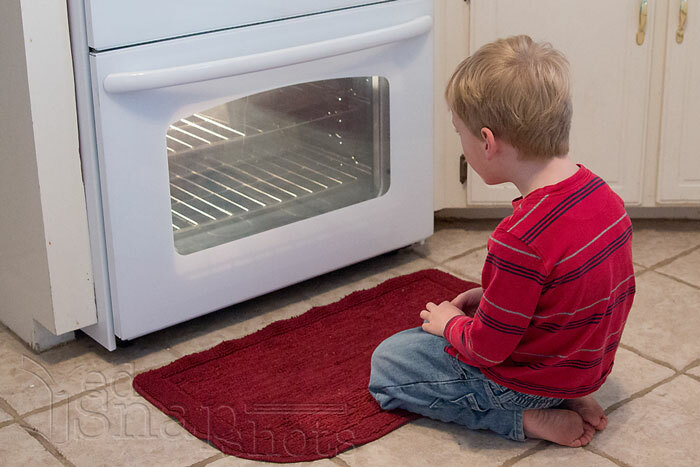 In fact, we are going to move to that model so I can get a few bites in edgewise. Just eat, read, chat, enjoy until everyone loses interest and moves away. We have Teatime after my youngest gets home from school every Tuesday. It’s our favorite family tradition! We just started doing it. Right now I make tea & we sit on the couch with a poetry book. For Christmas DD is getting a pretty china tea set so we may do some formal sit down poetry tea time soon. What is your easy recipe? Do you put miracle whip on your banana bread? That’s a new one for me!! I did put it IN (not on) that loaf and it was surprisingly good — you didn’t taste the MW at all. We love poetry tea time and I really like your advice. Keep it casual and fun. I’m in Australia and our summer has just come to an end. We have made it our daily ritual this summer that after our morning walk, we come home and throw a picnic blanket out in the shade in the backyard for our morning time/poetry tea time. We make a pot of herbal tea or hot chocolate, put the tea cups out on the rug, cut up some fruit and put out whatever baked goodies we have and sit outside with our book basket. They all enjoy helping set it up. We start with poetry, taking turns to pick, then I read all our read alouds. The kids have absolutely loved this, the toddler stays as long as she likes to eat and drink then wanders off to play while I read to the others. We then pack it up and get on with all the individual school subjects. It is the most wonderful way to start our day!